Whether we know it or not, all brewers rely on enzymes in the brewhouse. This is a primer on the biology of enzymes, meant to give the interested brewer a more sophisticated understanding of enzymes. Nothing in this article will suggest radical alterations to your brewing procedures. However, a better understanding of enzymes may help you when things go wrong in the brewhouse — for example, if you mash at too high or too low a temperature. Enzymes are biological catalysts. A catalyst is a substance that increases the rate of the reaction without being consumed by the reaction. 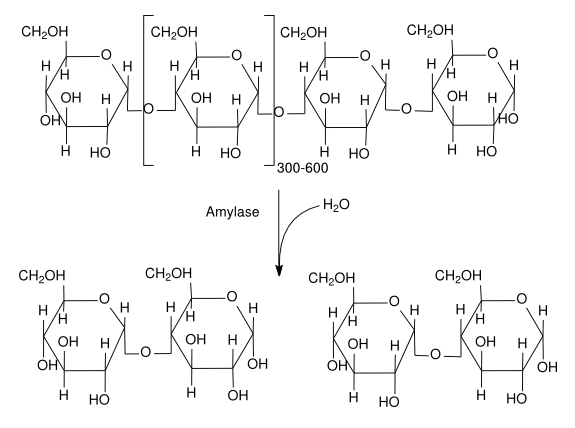 To give a brewing example, beta amylase catalyses a reaction that removes two glucose residues from one end of a strand of amylose. 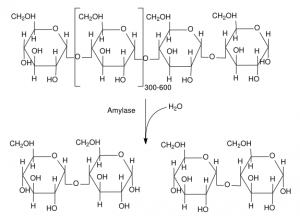 Amylose is a type of starch composed of a linear string of glucose molecules. Together, the two glucose residues are a maltose molecule. When the reaction is finished, the maltose molecule, the remaining part of the amylose molecule and the enzyme float free. Beta amylase is not altered by the reaction and is free to catalyze the same reaction over and over again. Many chemical reactions are energetically favorable and can occur spontaneously. In these reactions, energy is released and the products of the reaction are more stable than the reactants. However, just because a chemical reaction can proceed spontaneously does not mean it will do so at a high rate. What catalysts do is greatly speed the reaction rate of chemical reactions that are already favorable. For example, the reaction described above could happen spontaneously in a solution of starch and water. 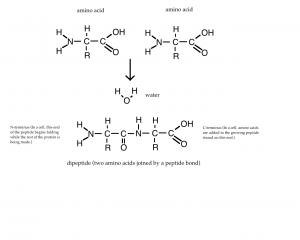 The specific chemical reaction is the addition of a water molecule to the bond between two glucose residues in the strand of amylose. This breaks the bond, freeing the maltose molecule and leaving a hydroxyl group (-OH) from the water (H2O) molecule attached to the maltose molecule and one hydrogen attached to the amylose strand. If you dissolved pure starch in pure (and sterile) water, this reaction would occur — however, it may take 100 years or more for the reaction to proceed to the extent it would in a 60-minute mash. A substance with the opposite effect of a catalyst is called an inhibitor. Proteins have four levels of structure. 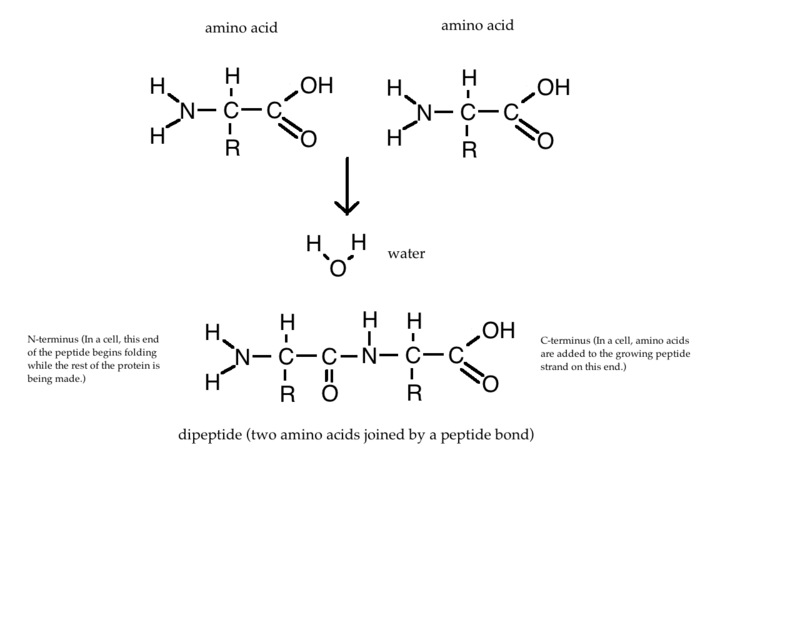 The primary structure of the protein is simply the order the amino acids are joined in. Certain sequences of amino acids tend to form spring-like structures (alpha helices) or form sheets (beta sheets). This is called secondary structure. Overall, the collection of helices, sheets and unstructured parts of the protein form a three-dimensional shape. This shape is the protein’s tertiary structure. Most enzymes are somewhat globular. Finally, some proteins are composed of more than one amino acid strand. If the protein is formed from two or more folded chains of amino acids, the overall arrangement of the subunits is the protein’s quaternary structure. Proteins fold into their overall 3-D structure as they are being made. In other words, the leading end of the amino acid strand being produced (the N-terminus) begins to fold before the C-terminus end is formed. In addition, some proteins require the presence of other proteins — called chaperones — to fold correctly. (And just to make things more interesting, some proteins are modified by other enzymes after they have folded.) As such, most enzymes will not refold into their active shape if they have been “unraveled.” One way to unravel a protein is too heat it. 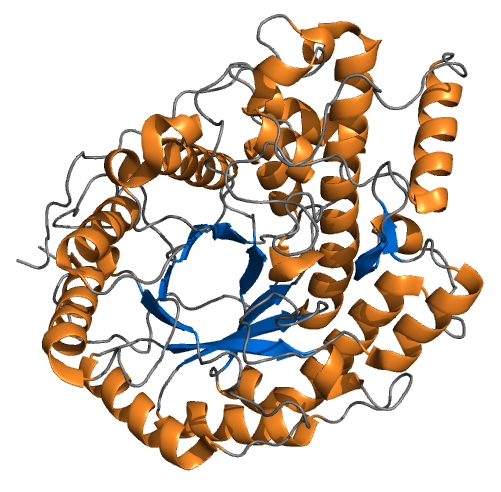 The three dimensional structure of a protein is stabilized by many hydrogen bonds within the molecule. Heating the molecule can disrupt these hydrogen bonds and render the protein a wiggly string of amino acids. This is called denaturing. Cooling the solution will not result in the protein refolding into it’s original shape. In the next installment in this series, we’ll look at how enzymes act as catalysts. I continue to be impressed with the quality and digestibility of the articles here! Thanks for sharing your hard-earned knowledge in the pursuit of better beer.